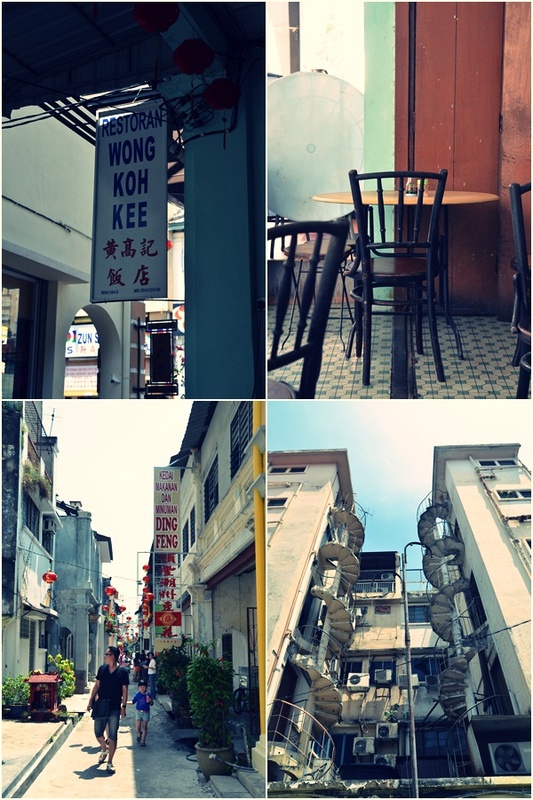 I still remember that during my childhood having breakfast in Old Town meant having to wake up really early, struggling to find a parking space and sharing a table with strangers at the stretch of white coffee specialists (e.g.. 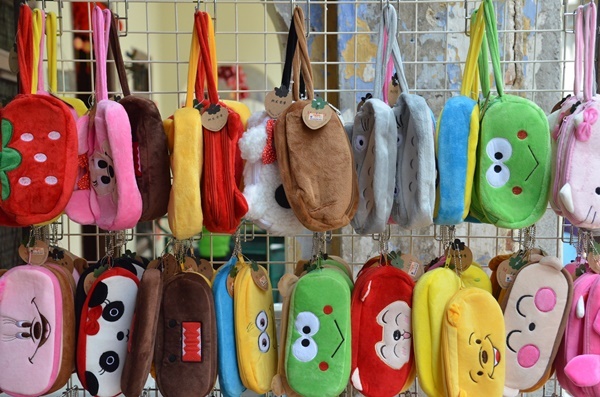 Sin Yoon Loong and the likes). Needless to say, the memories were not pleasant especially when we were not really die hard fans of white coffee in the first place. Aside from breakfast options (and trust me, there are MANY; from Ipoh style dry curry mee to soupy pork noodles cooked individually, caramel egg custard to a bowl of chicken kuey teow soup laden with umami goodness from the stock infused with essence from the prawns), nestled hidden from clear view is this more than eight decades old Chinese eatery named Wong Koh Kee on Concubine Lane. Concubine Lane was a nickname bestowed upon Lorong Panglima, just off Jalan Bandar Timah in Old Town; the street laden with all the most popular hawker stalls imaginable; from the iconic Kong Heng to Thean Chun (aka Hall of Mirrors), Nam Chau and Sun Seng Fatt for their curry noodles, to the other end where Sin Yoon Loong and Nam Heong battle it out for the title of best white coffee in the city. No brownie points for guessing the reason behind the name; although there has been speculation regarding the actual origins of Concubine Lane. Was this a lane famed for housing mistresses of tycoons from the golden tin mining era? Or was this a gambling den and opium house paradise masquerading behind the controversial name? 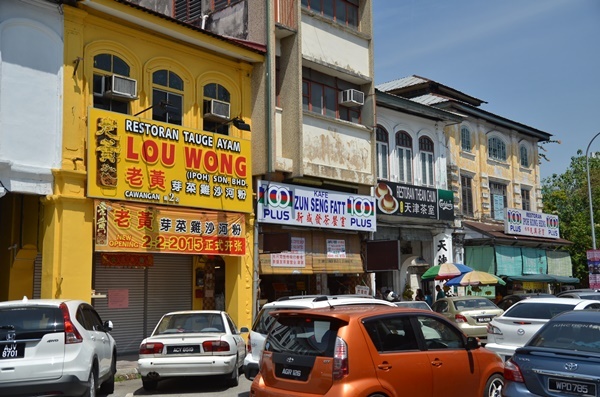 History lessons aside, my primary focus of returning to this part of Ipoh is to seek some really authentic and delicious grub at Wong Koh Kee. Also known as Koh Kee for short, this establishment is a firm favourite of the workers from banks and legal firms in the vicinity. There is a perpetual line of eager beavers patiently waiting outside the restaurant at lunch (which can sometimes be intimidating if you’re sitting on the walkway). 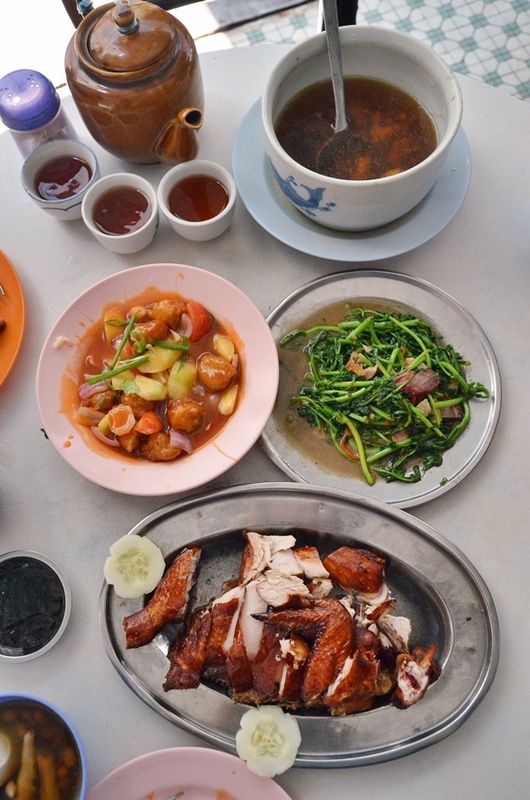 As Koh Kee is only open for lunch, for a mere few hours at that (from about 11am onwards until 2pm or the lunch crowd dissipates), grabbing a seat can be a challenge from 12.30pm onwards. There’s no visual nor written guidance of a printed menu, but the team here is pretty seasoned; some have been with the restaurant for much longer than I have lived. Some of their trademark dishes include their rendition of one incredibly-delicious sweet and sour pork (“gou lou yuk” in Cantonese), the larger than life braised deep fried fish head with an abundance of vegetables (“hoong siew yue tau”), crispy deep fried chicken served with hoi sin sauce (“pei pa gai”) and steamed trio of egg with soy sauce, chopped scallions and fragrant fried garlic. What sets their sweet and sour pork apart from the rest (although to be frank, there are a few other restaurants in Ipoh that serve a version that’s almost as good as Koh Kee’s) is the extra crunchy batter coating the chunks of lean pork which is then stir fried with fresh tomatoes and cucumber before being smothered in a tangy tomato-based gravy. It’s also redolent with a fragrant aroma possibly from the use of pork lard or lard oil in the deep frying process. The crispy skin fried chicken could be a little bland on its own; albeit rubbed with salt and a touch of five spice powder prior to the deep frying process. 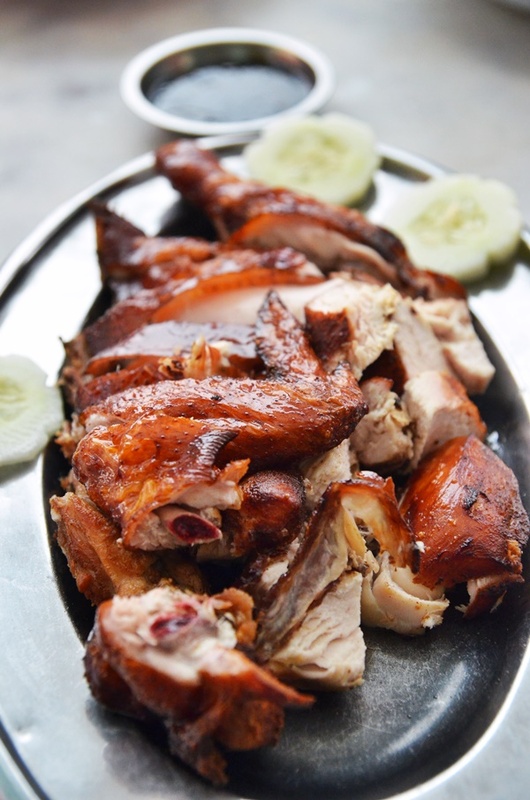 The sweetish hoi sin sauce was an apt partner to the savoury fowl, and the paper thin crispy skin contrasted perfectly with the lightly flavoured meat. 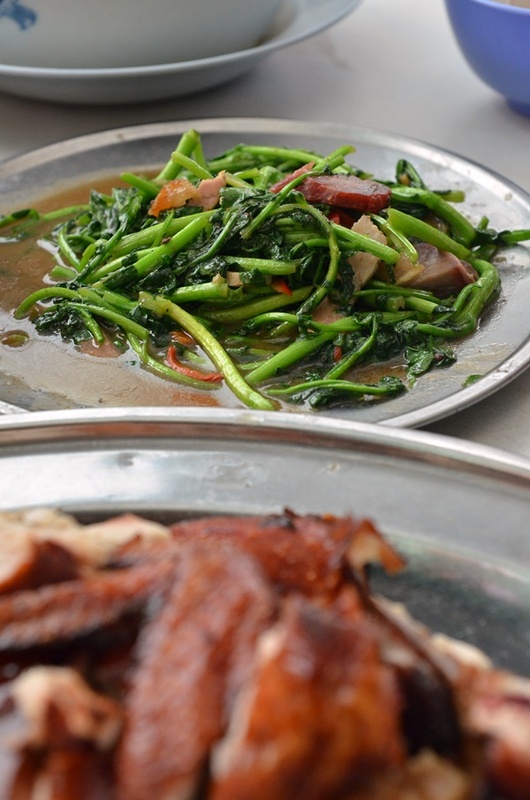 Usually, watercress (“sai yeung choi”) is boiled in soup with chunks of pork (bones, ribs and all) in the Cantonese style of cooking. 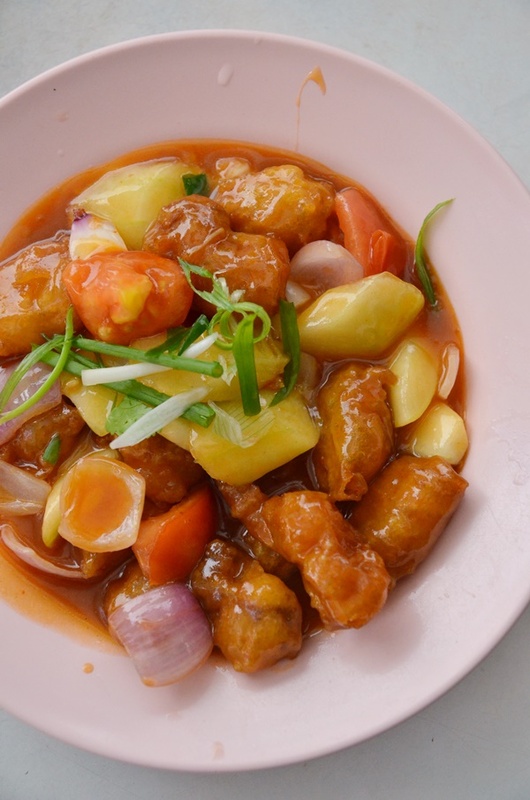 However, at Koh Kee, they give this aquatic plant a twist by stir-frying it in a belacan or shrimp paste based sauce with cuts of roast pork. The ensuing ensemble can be vaguely reminiscent of kangkung sambal belacan, and this is another hot hit with the crowd. 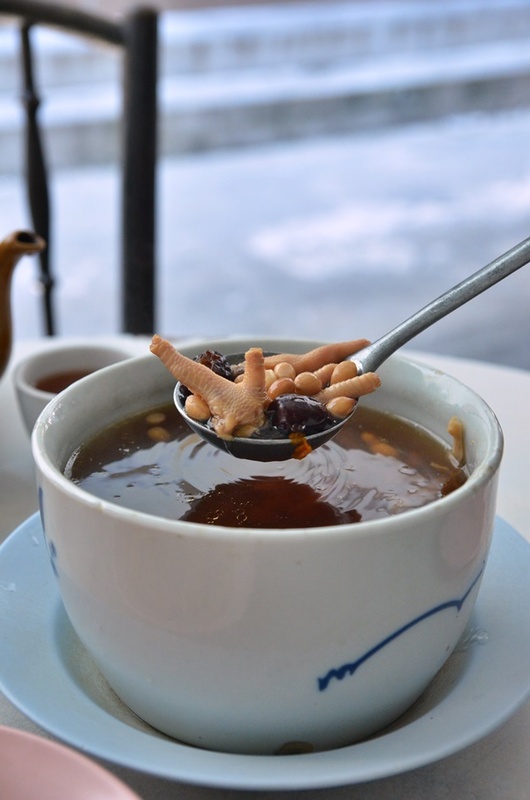 Last but not least, if you think that the meats are just overwhelming and you crave for something more homely and tummy-warming, try their double boiled soups especially the one with groundnuts, chicken feet and wolf berries. 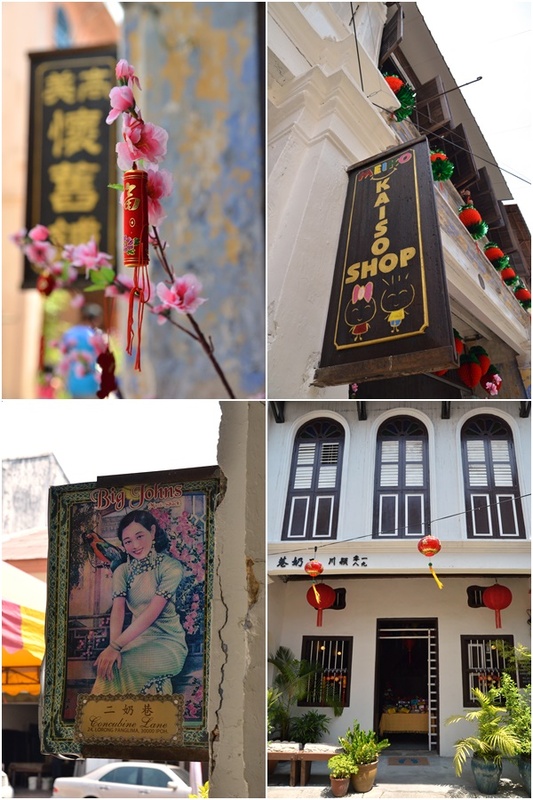 The lunch experience at Concubine Lane is never complete without a stroll along the gradually changing façade of the heritage lane in Old Town; some of the quarters have already been marked for development by the local council, and souvenir shops have started creating a fair dose of buzz with the tourists. And while you are at it, try locating the eight murals spaced across the area (definitely walkable and there are guide maps all over the place) to stimulate your digestive juices. 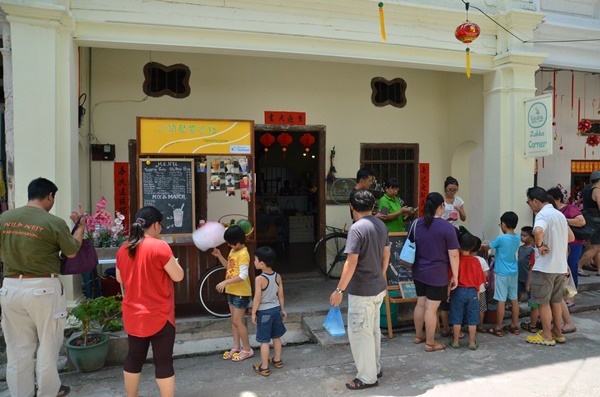 Finish off your afternoon with a robust cup of white coffee from Sin Yoon Loong, Nam Heong or even Nam Chau which is nearer to Koh Kee.